If you have been paying close attention to all new information about the coveted iPad, then this post will probably not enlighten you. However, if you’re just hearing third-party info, or non at all, then this post is for you! The unoriginal conclusion (since everyone on the net already stated this) – this is a giant iTouch! – It is not unique, not competitive and quite simply disappointing. 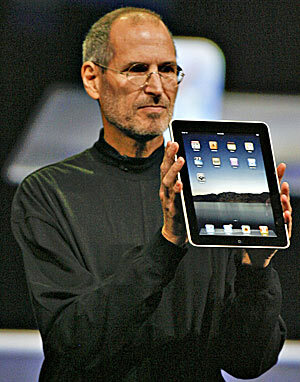 I bring you the new Commandment Tablet..
Apple released it latest and greatest – the weirdly named iPad. So who wants a giant Pad? I don’t see the uniqueness, or “intimacy” here – Is it the iPad you’ll take with you for your bathroom reading? (at around $1000)? How about you? Have it on your wish list already?